My friend and uber food blogger Jeanie of Cowgirl’s Country Life based out of Oklahoma has been trying out some of my SYD competition rubs. 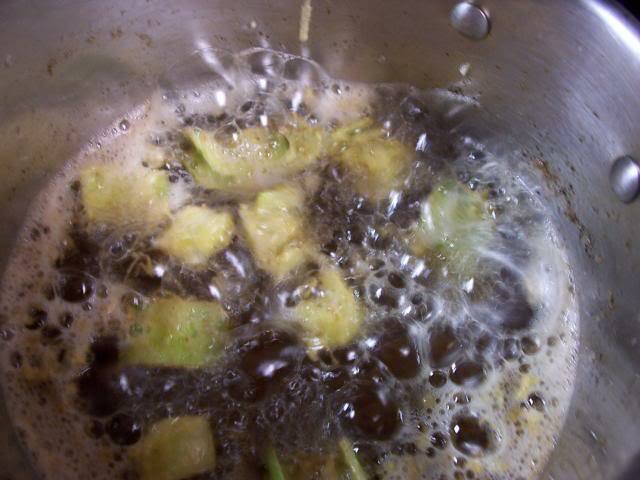 She’s tried them out a couple of times (see Jeanie’ Salmon and Chicken Thighs. 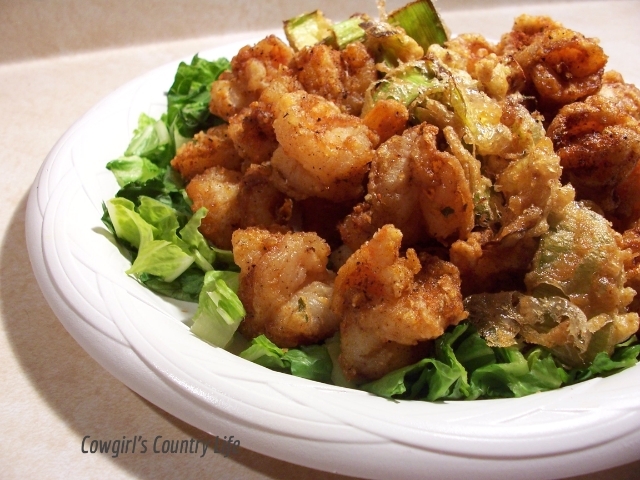 She’s a great cook and writer, and Jeanie has graciously given me permission to share her April 23, 2013 blog and pictures about her Slap Yo Daddy Popcorn Shrimp. I’m not sure if this qualifies as popcorn shrimp, they were pretty large BUT they disappeared as fast as popcorn! Kind friend Harry Soo sent some of his Slap Yo Daddy Meat rub for me to try. (Thank you again Harry!) 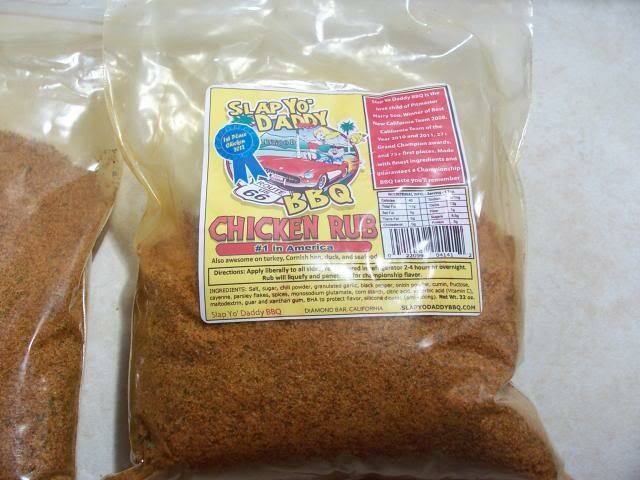 I have tasted his fantastic Chicken Rub and love it, so I was really looking forward giving this rub the taste test. I like to experiment with dry rubs, see if they are “shaker” worthy. Meaning do I love the rub on more than just BBQ. 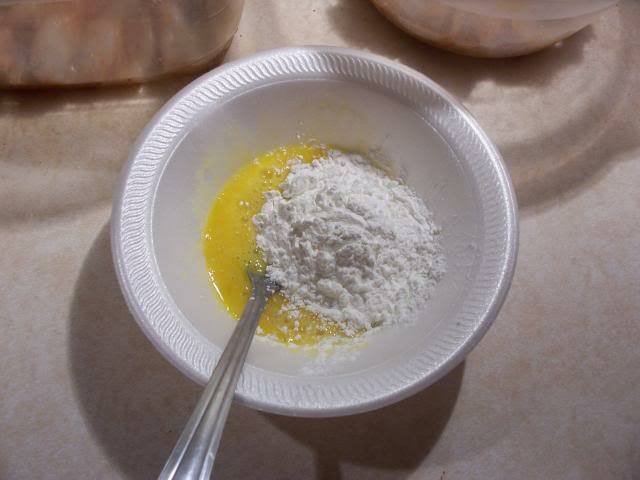 If a dry rub pasts my taste test, I keep it in a shaker and use it on many different foods. 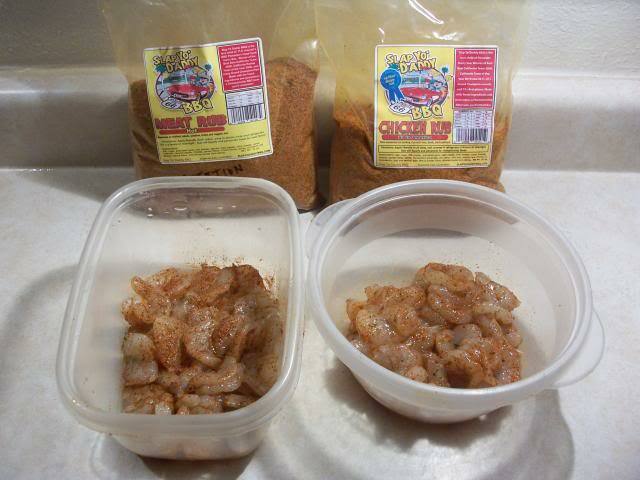 I peeled, deveined, and butterflied 2 lbs of shrimp. Gave ½ a good dusting of Slap Yo Daddy Meat Rub and dusted the other ½ with Slap Yo Daddy BBQ Chicken Rub. 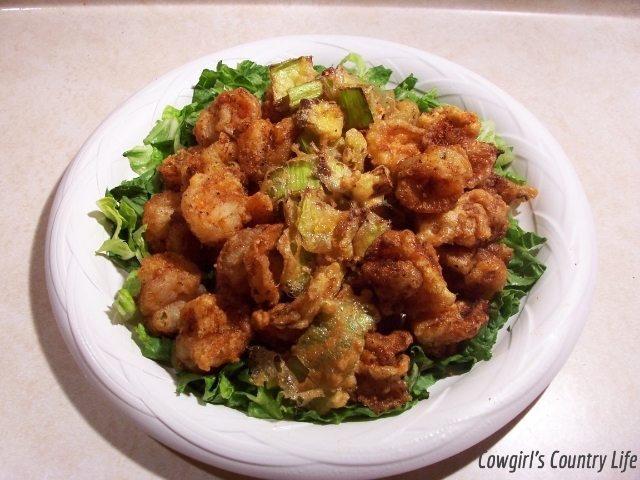 I fried a few slices of leeks too..
Then sprinkled the shrimp with more Slap Yo Daddy Rubs before diving in. 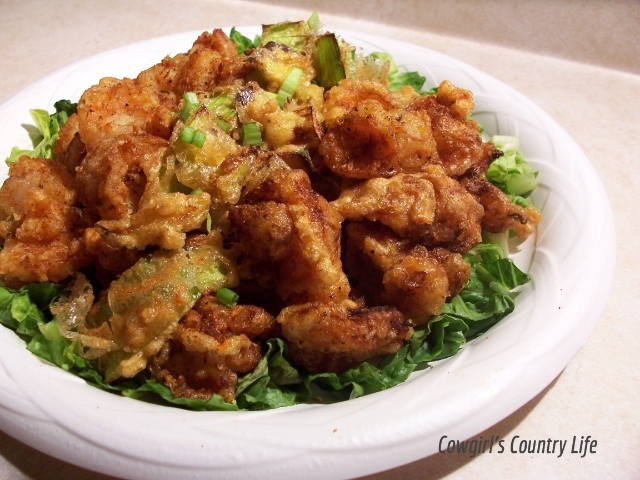 The Slap Yo Daddy Meat Rub Popcorn Shrimp.. I tried to think of a dipping sauce to make for these, but after eating several ~hot out of the fryer~ shrimp, I knew they didn’t need any sauce at all. They were so tasty! 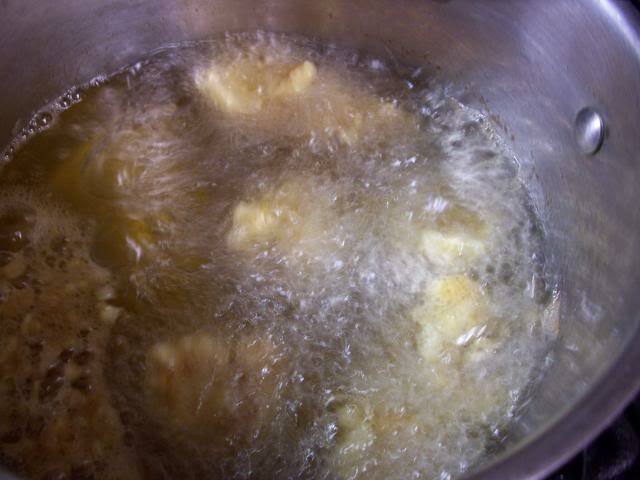 The batter was crisp right out of the fryer but softened as they sat. The only thing I would change on these is maybe just use cornstarch alone and skip the egg. 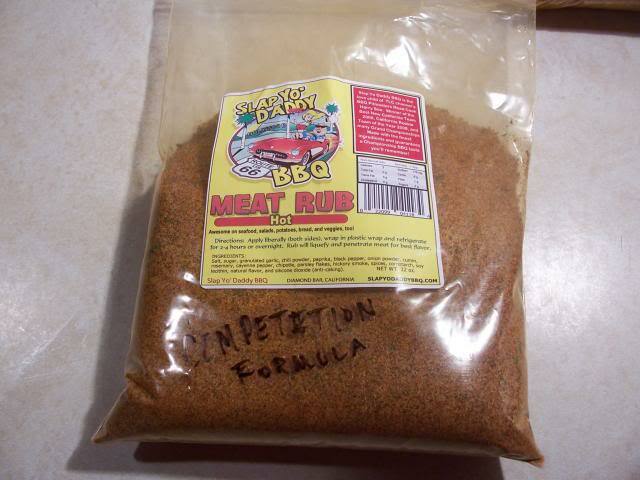 As for the Slap Yo Daddy Meat Rub….it’s definitely “Shaker Worthy”. I loved it! Now I have both the Chicken Rub and Meat Rub sitting in shakers on my counter to sprinkle on eggs, potatoes, veggies, popcorn, etc..